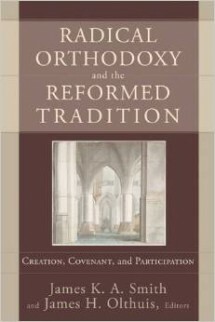 In this work, leading scholars compare the differences and points of intersection between the growing Radical Orthodoxy (RO) movement and the Reformed tradition. This timely discussion deals with many of the hot topics currently being debated in theological and philosophical circles, including the material world’s participation in transcendence, aesthetics, politics, covenant, and cultural theory. It represents an emerging willingness among proponents of RO to examine and engage the Dutch Reformed tradition, and also reflects the growing influence of RO on the Reformed tradition. This book will be enjoyed by scholars concerned with the intersection between RO and the Reformed tradition. A companion book to Smith’s recently published Introducing Radical Orthodoxy, it will also be of interest to students of philosophy and theology.